WASHINGTON — If you were lucky enough to retrieve a few bucks from the Baltimore Harbor Tunnel, don’t buy that Corvette just yet. 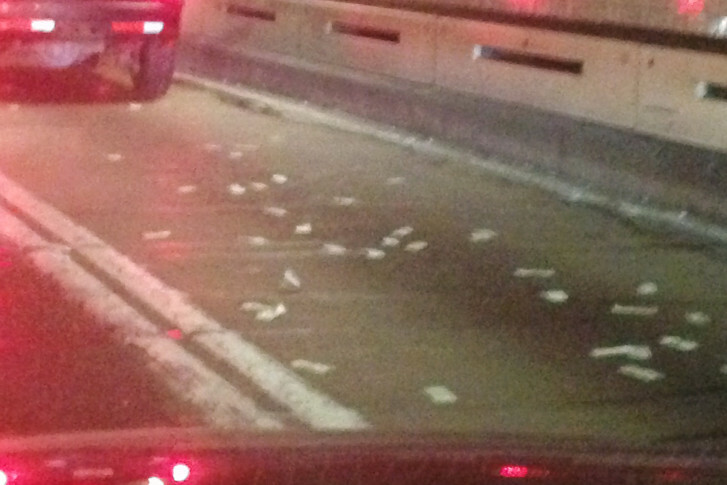 The Maryland Transportation Authority wants to recover the cash that spilled from an armored truck two weeks ago. Several people came forward the following weekend, says 1st Sgt. Jonathan Green, a spokesman with the transportation authority. He’s not saying how much money was lost or how much has been recovered. Green says it could take a while to determine who was in the tunnel and following the armored truck. The investigation is ongoing. Green doesn’t want to compromise the case by revealing the investigative tools being used.